Well, the choice is yours, you can put your feet up and peruse the seed and plant catalogues by the fireside or take advantage of milder days when you can get things done in the garden. It’s handy to make a check list of things to do in December. Check for damage to fences and trellis, gutters and drains that may have leaf blockage, plant supports, fishponds freezing over, greenhouse heaters and winter protection structures. All’s well? Good. There may be some digging to be done and you can improve the soil as you go, adding a peat substitute or lime free compost to alkaline soil and hydrated lime to acid soil. Not sure what type of soil you have? You can get a soil test pH testing kit at the garden centre or online. 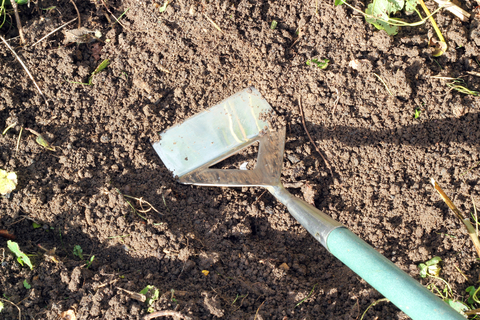 It’s good to dig clay soil in winter when it’s more workable and the frosts will break it down. Dig in loads of organic matter – well-rotted farmyard manure, spent mushroom compost or composted bark - as you go. You can sow alpines from seed this month since they need the cold to wake them up. Place a sheet of glass on bricks over the area so they don’t get too wet. If it’s still mild lift and divide herbaceous perennials and consign the prunings of any you cut back to the compost. Clear beds of any weeds and finish off your tidying of beds, borders and containers. Look out for any diseased wood, leaf or vegetation and burn or remove it from the garden, don’t put it on the compost where disease can over winter on plant debris and in the soil. Take the opportunity to clean up garden tools and the greenhouse, giving it a good wash down with a disinfectant solution of Jeyes fluid and replenish the soil ready for spring planting.